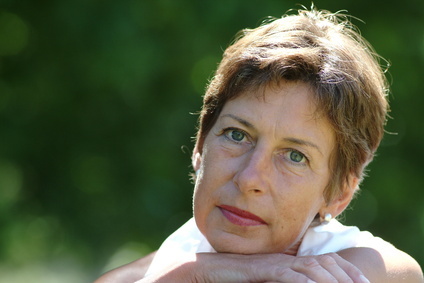 Menopause is still a taboo subject, leaving women feeling ill-informed and unsupported. I have worked in Women’s Health for several years and yet 3 years ago as I started experiencing my first symptoms, I realised I knew very little about the menopause and I wasn’t on my own. Around 13 million women are going currently going through the menopause in the UK. Firstly, it’s important we remember that the menopause is a normal, natural phase that all women will go through. It is not a disease and doesn’t have to be a horrible scary experience. But this doesn’t really tell the whole story. Firstly, you can’t know that you’ve reached menopause until after you’ve reached it, so it can be a very confusing time. The average age for women to reach menopause in the UK is 51. However, changes start happening to our hormones in the 5-7 years leading up to the menopause. So many women experience symptoms in their early 40s (or sometimes younger) as part of the peri-menopause. But what does this mean? Perimenopause – refers to the years leading up to the menopause. As your hormones start to fluctuate you can experience many symptoms. Post-menopause – after that one day you are considered post-menopausal. Unfortunately, this doesn’t mean you will be symptom free as some symptoms can last post menopause. What you call each stage of the menopause doesn’t really matter and I often use the overriding term “menopause”. It is important to understand these stages and to know where you are within these stages as this can have an impact on your symptoms and medication options. Induced menopause – can occur any time from your first period and is when periods stop due to medical intervention. In particular, from surgery or cancer treatments that remove or seriously damage ovaries. Premature/Early menopause – is when your final period occurs before the age of 40/45. The treatment recommendations may be different for women reaching this stage sooner as this may present differing risks for future health. Your GP or health practitioner will support and advise you on key things you should be considering. Some of the main challenges we face as women is this is still a topic that isn’t discussed enough. Information isn’t readily available and women feel ill-prepared for what is happening to their bodies. Every woman’s journey through the menopause is different, this means it can be challenging for us as women to know what to expect and for GPs and health practitioners who are presented with a variety of symptoms which vary in severity from woman to woman. Around 75% of women will experience menopausal symptoms and around 25% of women will experience such severe symptoms that it has a huge impact on their quality of life and their physical and mental well-being. Some of the challenges many of the women I work with face is that they are considered too young to be having menopausal symptoms. If you know the average age in the UK for reaching menopause is 51, this helps in the understanding that women will be experiencing symptoms in their 40s. I wasn’t expecting this but knowing and understanding this is normal has been a real help. What was most surprising to me was the emotional impact of the menopause and the impact on mental cognition i.e. memory, brain fog etc. This list of symptoms isn’t meant to scare you. On average, women normally struggle with around 7 symptoms. Knowing what is causing these symptoms, knowing what you’re going through is normal and knowing that this isn’t forever is a huge comfort to many of the women I work with. So, what can you do to manage your menopause? Knowledge is power. Knowing and understanding what is happening to your body and why is essential in managing your menopause. Now is the time to nourish your body, focusing on what feeds your body well which may mean cutting down/out on the things that don’t serve us well during the menopause i.e. alcohol, caffeine, processed sugar. However, now is also the time to be kind to yourself, lose the guilt and keep trying to make small changes every day. Physical activity is key to ensuring you’re healthy at any time but especially as your body goes through this transition. Focus should be on a good mix of cardio and resistance exercise that support good cardiac health and encourage good bone health. Also, a focus on restorative exercise such as Yoga and Pilates which help with balance and flexibility as well as relaxation and managing stress. Our minds are so powerful and the way we think can have a huge impact on this journey. This is why CBT (Cognitive Behavioural Therapy) is now a recommended treatment for menopausal symptoms by the NHS. Unfortunately, due to funding it is not widely available but a lot of research by the British Menopause Society has shown the impact a positive mindset can have. My name is Sally Leech and I enjoy singing and running (but very rarely at the same time!). I started The Menopause Club as myself and many of my clients started facing challenges as we approached this new phase in our lives. As a Women’s Health Coach, I realised I knew very little about the menopause and I wasn’t alone. Around 13 million women are currently going through the menopause in the UK and women feel ill-informed, ill-prepared and unsupported. I’ve spent the last few years researching and studying. I completed a diploma in 3rd Age Women’s Health with Burrell Education. I’ve read countless books, articles, research papers and attended seminars and conferences. The most valuable research has been speaking to actual women, sharing their stories and their experiences. The whole idea of The Menopause Club is to open up the conversation on the menopause. It shouldn’t be a taboo subject that we’re scared of talking about. Our mission is that “No woman should go through this alone”. Hi Sally, My name is Julie I’m age 50. Been going through the menopause for 18 months. My GP prescribed me to take Fluoxetine. Which do help with hot flushes and night sweats. Think for me the worst thing is the brain fog. My memory is dreadful. I have been going to a menopause support group once every couple months.which was great. Started off as 12 of us. Last time I went only 3 turned up including me. Such a shame, great to chat with other women. Going through the same thing. Thank you for your recent post. It sounds like the menopause support group was really useful, its great to talk to someone else going through the same thing as you.